A star par excellence, Dolly Parton is one of country music’s most likable personalities. Even a hard-rocking punk or orchestral aesthete can’t help cracking a smile or singing along with songs like “Jolene” and “9 to 5.” More than a mere singer or actress, Parton is a true cultural phenomenon, immediately recognizable and beloved for her talent, tinkling laugh, and steel magnolia spirit. She is also the only female star to have her own themed amusement park: Dollywood in Pigeon Forge, Tennessee. Every year thousands of fans flock to Dollywood to celebrate the icon, and Helen Morales is one of those fans. In Pilgrimage to Dollywood, Morales sets out to discover Parton’s Tennessee. Her travels begin at the top celebrity pilgrimage site of Elvis Presley’s Graceland, then take her to Loretta Lynn’s ranch in Hurricane Mills; the Country Music Hall of Fame and the Grand Ole Opry in Nashville; to Sevierville, Gatlinburg, and the Great Smoky Mountains National Park; and finally to Pigeon Forge, home of the “Dolly Homecoming Parade,” featuring the star herself as grand marshall. 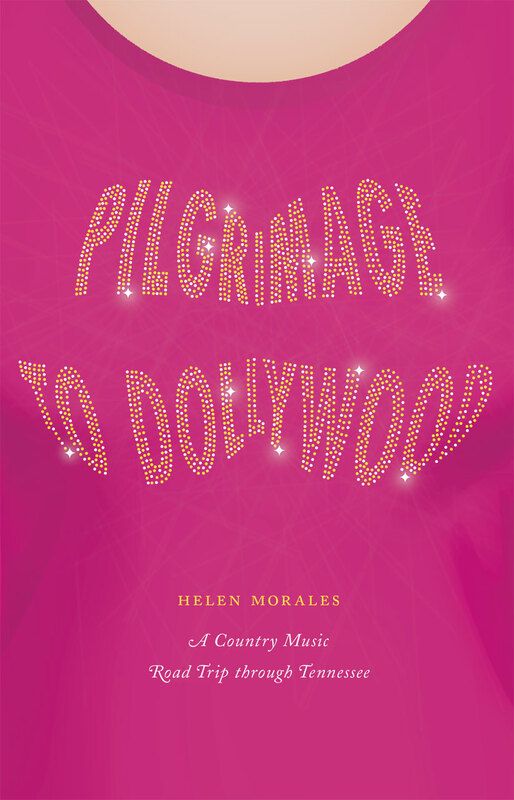 Morales’s adventure allows her to compare the imaginary Tennessee of Parton’s lyrics with the real Tennessee where the singer grew up, looking at essential connections between country music, the land, and a way of life. It’s also a personal pilgrimage for Morales. Accompanied by her partner, Tony, and their nine-year-old daughter, Athena (who respectively prefer Mozart and Miley Cyrus), Morales, a recent transplant from England, seeks to understand America and American values through the celebrity sites and attractions of Tennessee. This celebration of Dolly and Americana is for anyone with an old country soul who relies on music to help understand the world, and it is guaranteed to make a Dolly Parton fan of anyone who has not yet fallen for her music or charisma.